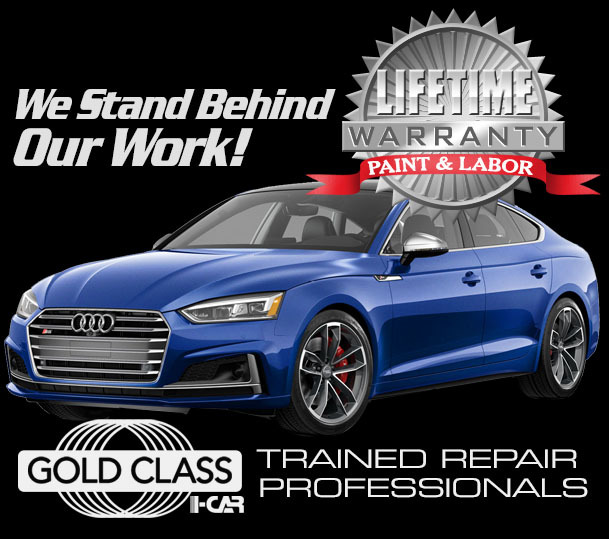 Since 1979, Classic Auto Body Ltd. has serviced the Tri-State area and devoted it's efforts toward achieving the highest level of quality in the automobile business. This dedication to excellence is the only way we know how to operate. Classic Auto Body has established a reputation as one of the most reliable, quality-oriented shops on the Main Line. Establishing that reputation was the result of continuous investment in equipment and people and a company goal to be the best. We are proud of our facilities and the quality of our work. All of our personnel are professionals, carefully chosen for their proven desire to provide you with the finest in automotive service. Every member of our staff has one goal in mind: complete customer satisfaction. We are committed to providing extremely high-quality services no matter how extensive or minimal the job. Proudly Servicing Customers In Bryn Mawr, Rosemont, Haverford, Ardmore, Philadelphia, Wayne, Newtown Square And Surrounding Areas! Please browse through our site to learn more about us. *Closed Saturdays May - Sept.